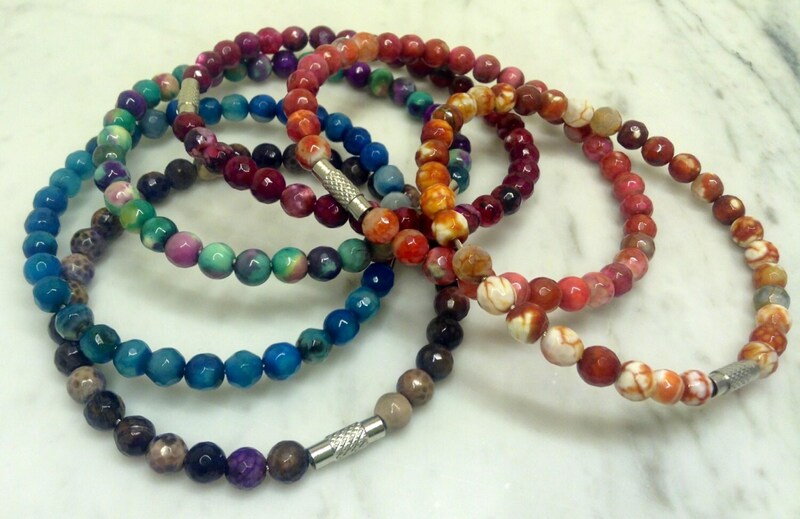 Theses beaded bracelet like bangles are made using grey steel memory cord & a screw clasp, not elastic string, along with a mix of different color 6mm faceted beads- orange, pink, red, green & purple, blue, dark blue & purple agate . Depending on the size of your wrist or how loose you prefer your bracelets, you can put these on by slipping right over your hand instead of using the clasp. 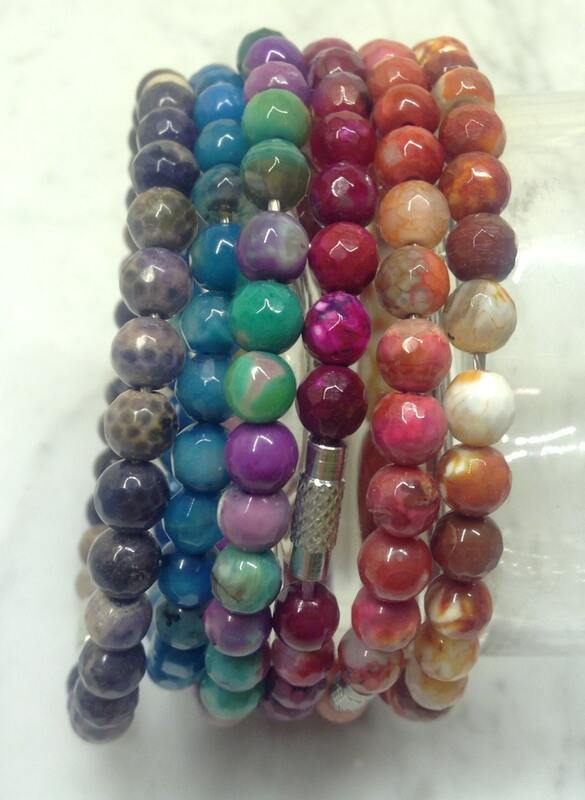 The sizes vary from bracelet to bracelet but generally measure at 8 1/2 inches with 33 beads. Variations to the size can be made every 1/2 centimeter by changing the amount of beads used. You can mix and match yourself, or order an already made set like this listing which comes with 6 bracelets. It's $5 a bracelet or 5 for $20. 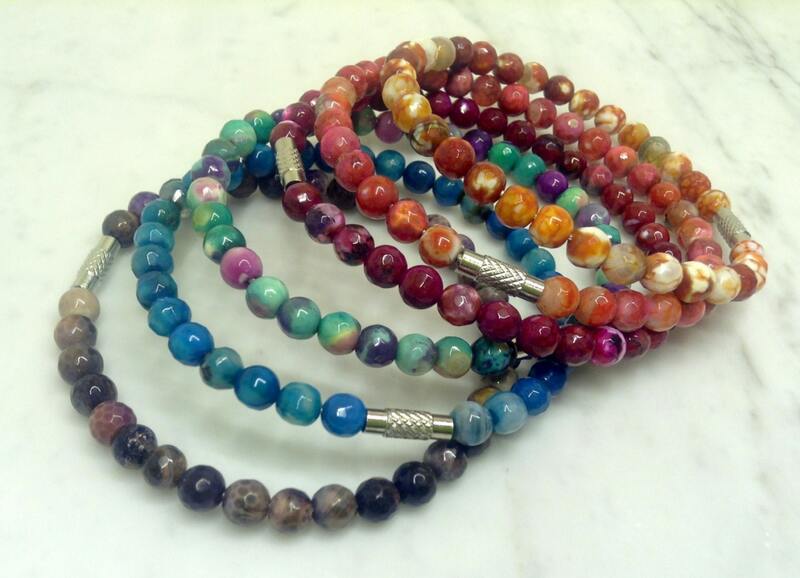 You can stack them or wear singly. Should you like an already made set but would prefer a lesser amount of bracelets then please contact me as changes can always be made to any order to suit the customer.